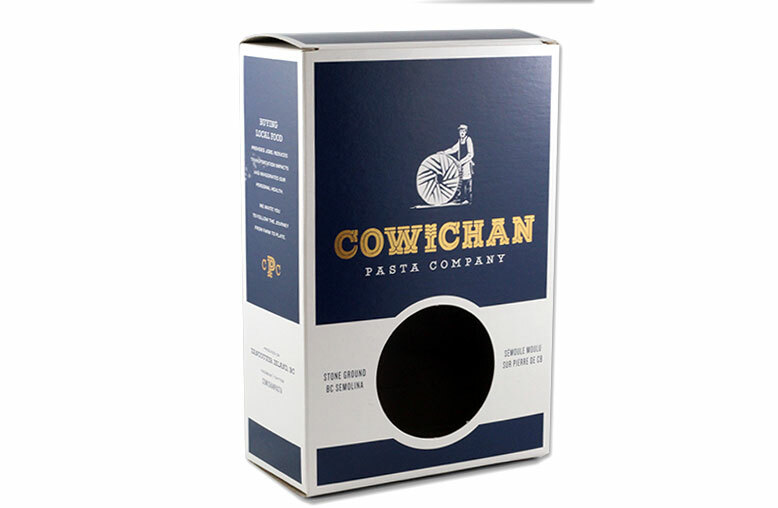 The Cowichan Pasta Company is company from the Cowichan Valley that prides itself in making quality pasta products made with 100% British Columbia ingredients. We worked with them on their retail packaging for their pasta boxes. The box uses white, navy blue and gold tones and has a window that shows the product once packaged. The window adds that “extra” element to the retail packaging allowing to present the product in an elegant way. For more information about retail packaging please contact us.